I played a minor role in the publication of an op-ed, The forgotten victims of China’s Belt and Road Initiative, with my colleague Aaron Halegua, a terrific Chinese labor law scholar whom I take credit for spotting many years ago, even before he started his JD study at the Harvard Law School! Here's the link to the op-ed online in the Washington Post. The Post was glad to have it and did a very careful job checking the facts and editing it, but I do not think it will appear in the paper because there are just too many Mueller Report-related op eds at the moment. Here is an excellent statement by the UN HR High Commissioner Zeid Ra’ad Al Hussein on Liu Xia’s release. Liu Xia is now physically free but still enslaved mentally since her brother Liu Hui has been intentionally kept hostage. Liu Hui was convicted of fraud in 2013 and was sentenced to 11 years in prison. He’s been released under medical parole, a lesser criminal law restraint, which can be revoked by the authorities at any time. So for Liu Xia her release is a half-way house toward freedom, really a new form of restriction, another ingenious type of detention-equivalent administered by a PRC that spawns new types of detention almost every day, as the Xinjiang “re-locations” illustrate. Liu Xia’s restricted release is certainly a case of China responding to outside pressures—enormous pressures of various types including those generated by human rights groups. The PRC, like the rest of us, tries to turn a vice into a virtue and make the best of a difficult situation. 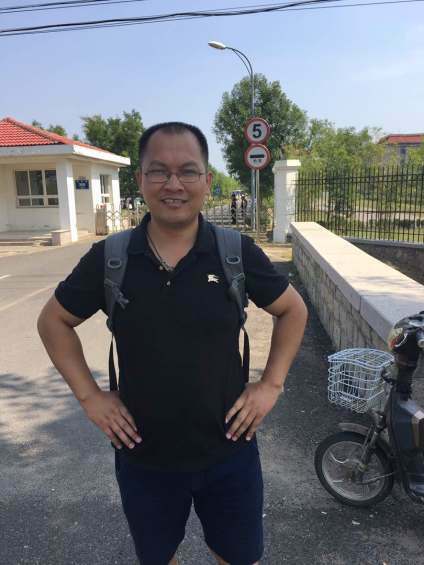 They still have Liu Xia’s brother to trade and what about the missing human rights lawyers and the hundreds of thousands lawlessly locked up in Xinjiang? There’s a lot of material to work with any time they feel the need to get better press by releasing some people without actually reducing their repression. 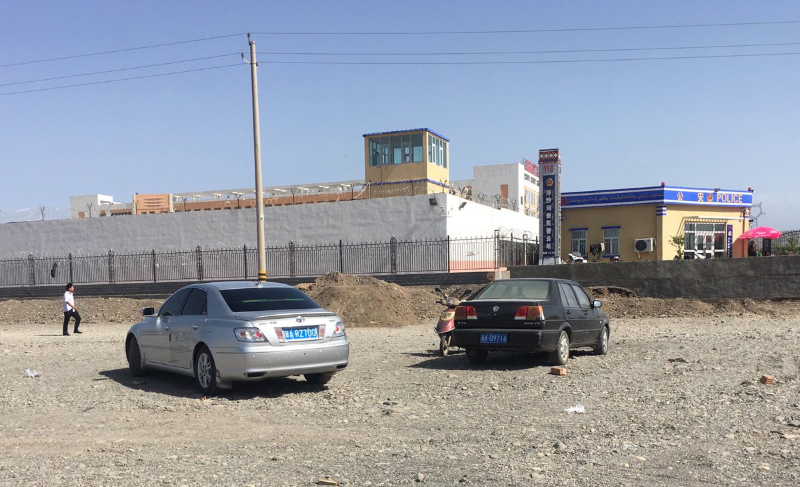 Here is a Radio Free Asia report on the hundreds of thousands of Uyghurs who have been detained in “re-education” camps. The number detained may have reached one million, according to the estimate. This is far beyond the number of those who were retained for “re-education through labor” (RETL) at any given time in what were supposedly the last years of that notorious punishment. As I recall, there were usually said to be about 300,000 detained for RETL at that time. We need to know much more about who has been recently detained in Xinjiang, for what reasons, by what procedures, for how long, for what type of “education” etc. Is it really true that people under 40 are being preventively detained without any basis for suspicion other than the fact that, because of their relative youth, they might be susceptible to evil thoughts and actions? This is a horrendous situation that makes a mockery of the Party’s claim that it is pursuing the “rule of law”. It invites comparisons with the early years of Hitler’s attack on the Jews. It also makes me think of Lee Kuan-yew’s Singapore. Until the early ‘80s, when he changed his views, Lee prohibited Singaporeans under 40 or 45 (I forget which) who had been educated in the PRC from returning to Singapore, regarding them as security risks. Lee also resorted to preventive detention, but on a very limited scale and with respect to people who had at least demonstrated what he regarded as “left wing” sympathies. I hope those of us who observe developments in China will not look away from this ugly, worsening phenomenon in the Central Realm. Term limits for the leadership are not usually found in dictatorships. The Chinese Communist Party’s proposed abolition of China’s presidential term limit means that it has forgotten one of the main lessons of Mao’s long despotism. The two-term limit was inserted into the People’s Republic of China Constitution after the Cultural Revolution ended and reflected a widespread desire to prevent the return of one-man dictatorship. Its abolition signals the likelihood of another long period of severe repression. This should prompt us to think of Chiang Kaishek as well as Mao and Yuan Shikai and, in a comparative Asian vein, of Marcos and Park among others. Of course, some recognize that Putin’s example may also have significantly influenced Xi Jinping. Xi’s move will have a profound effect on world order. It will enable him to move more boldly and increases the risk of his acting arbitrarily and perhaps mistakenly in international relations. It will surely hinder China’s efforts to be respected for “soft power” as well as military and economic prowess. Xi decided to strike while the iron is hot rather than wait for later in his new term when increasing problems might have made the change more difficult. His brash step has undoubtedly aroused profound concern among the elite. Many high Party personnel, bureaucrats, judicial officials, lawyers, intellectuals, academics and business people, mindful of the past Maoist dictatorship and the increasingly repressive and arbitrary government under Xi, have seen this coming and now, in social media and other informal ways, are showing their anxieties and opposition. There is big risk for Xi at home since, as it becomes more obvious that China’s problems are catching up with its achievements, the government will look less impressive and the masses will begin to lose their enthusiasm and hold the great leader responsible. The elite will be less surprised but less forgiving. The external risk is more immediate. Xi’s bold consolidation of power will enhance fear of “the China threat”, and his ever greater repression will make people think of Stalin’s decades-long centralization of power, even though, one hopes, Xi will not engage in mass executions. He already is engaging in mass detentions in Xinjiang even though “re-education through labor” was abolished in name a few years ago. These “proposals” are at least a 1-2 punch against the Constitution when we consider the simultaneous establishment of the National Supervisory Commission. People often wonder—even now—how in 1937 Stalin could have said: “We need the stability of the law more than ever.” while at the very same time displaying the infamous “purge trials” to the world and lawlessly executing huge numbers of people. Xi claims to be strengthening the “rule of law” while making certain that it will never get off the ground. Tell it to all the tens of thousands in Xinjiang who are locked up in Xi’s successor camps to the supposedly abolished “re-education through labor”.